Are you in Washington State and looking for a venue or location to have a large family gathering? 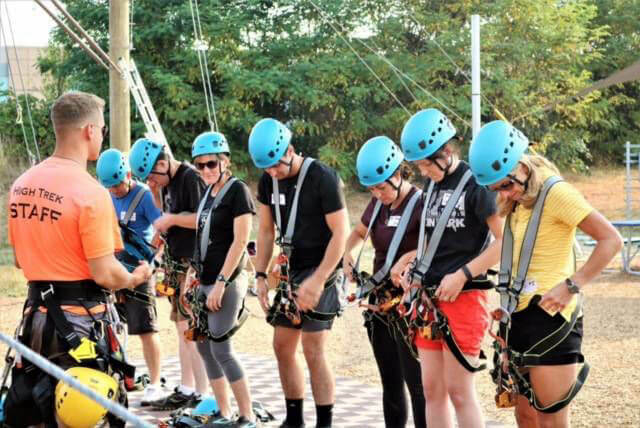 High Trek Adventures is a fantasticly affordable place to have a fun time as you share memories while making some new ones. At HTA, no family reunion is too big or too small. We have a large covered tent with picnic tables that can be rented. For large family reunions you can rent the entire venue and make it a private reunion event gathering. Bouncy houses and our mobile laser tag unit are available as well. Contact us today and we can help you plan your reunion gathering. You may be searching the web "near me" for a family friendly venue location for your High School Reunion? This is what High Trek Adventures is all about, people enjoying each others company and fellowship, while providing an excellent experience. 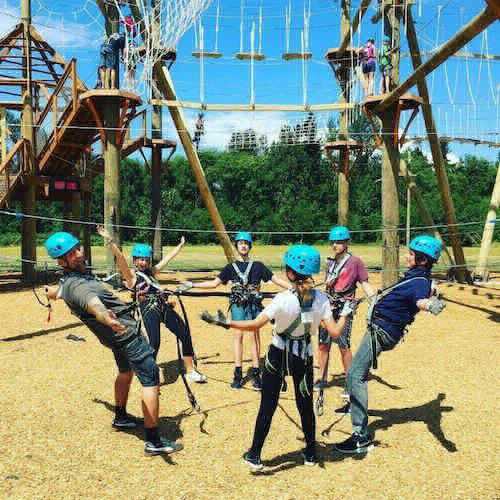 HTA is the place for food and fun with our large tent and several picnic tables along with our ground games and activities for all ages in addition to the ropes course, ziplines, and mini-golf. We can also bring in the mobile laser tag unit or provide some bouncy house options.